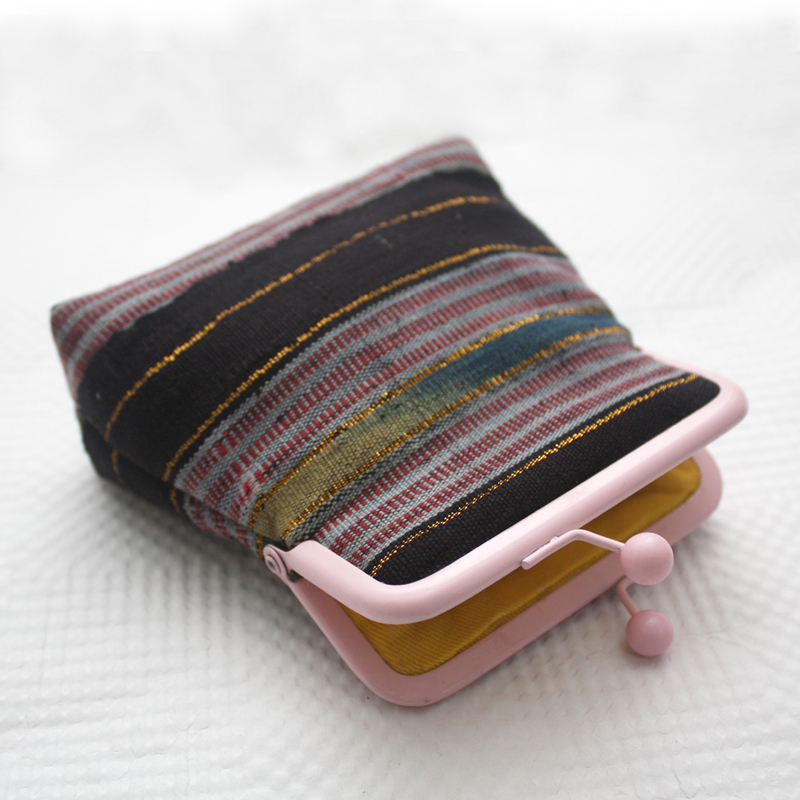 The Pico pouch is a little snap purse that would be great for coins, lip gloss and your little bits and pieces that you want to keep safe but stylish at the same time! 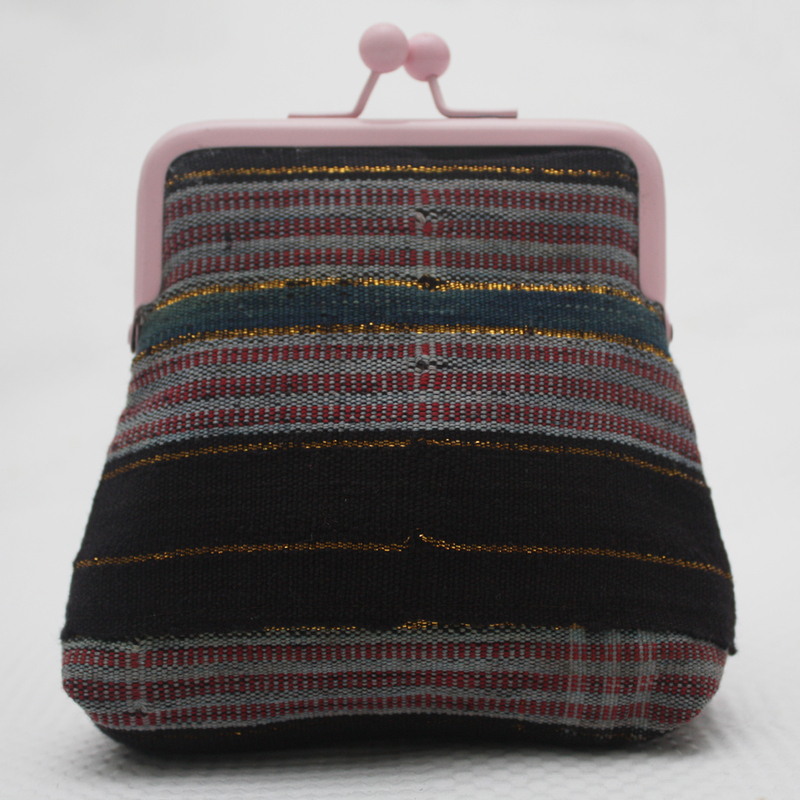 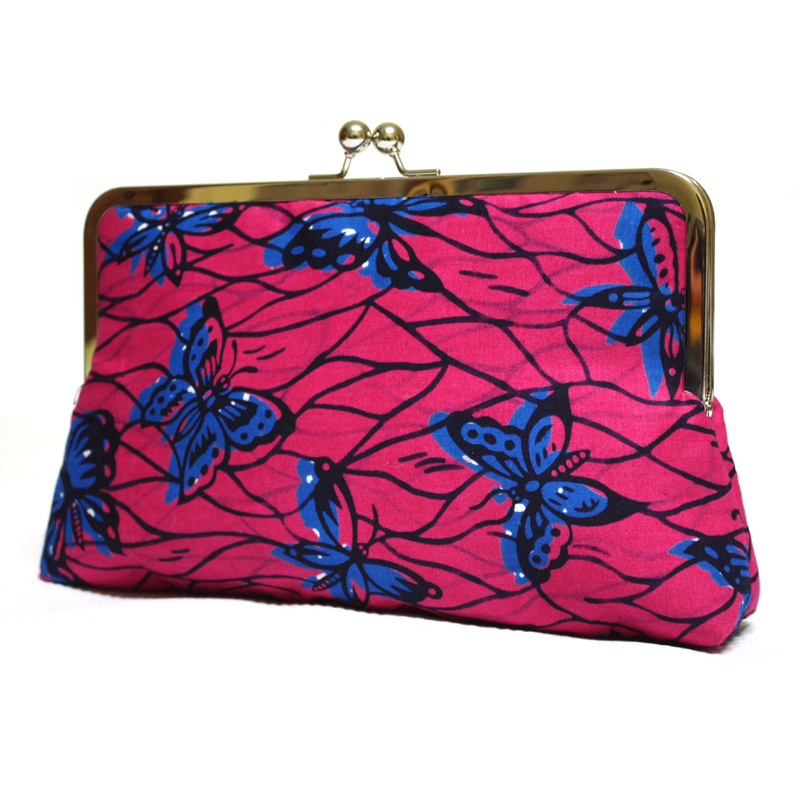 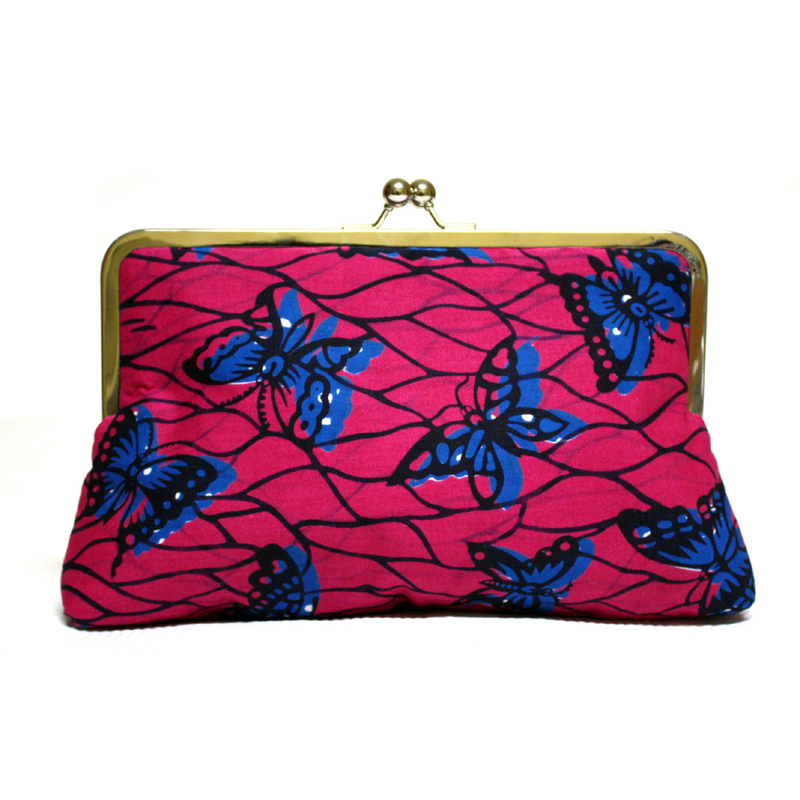 It is made in a black and pink Aso-oke fabric (a hand-loom woven fabric from Nigeria, West Africa) and lined internally with cotton fabric. 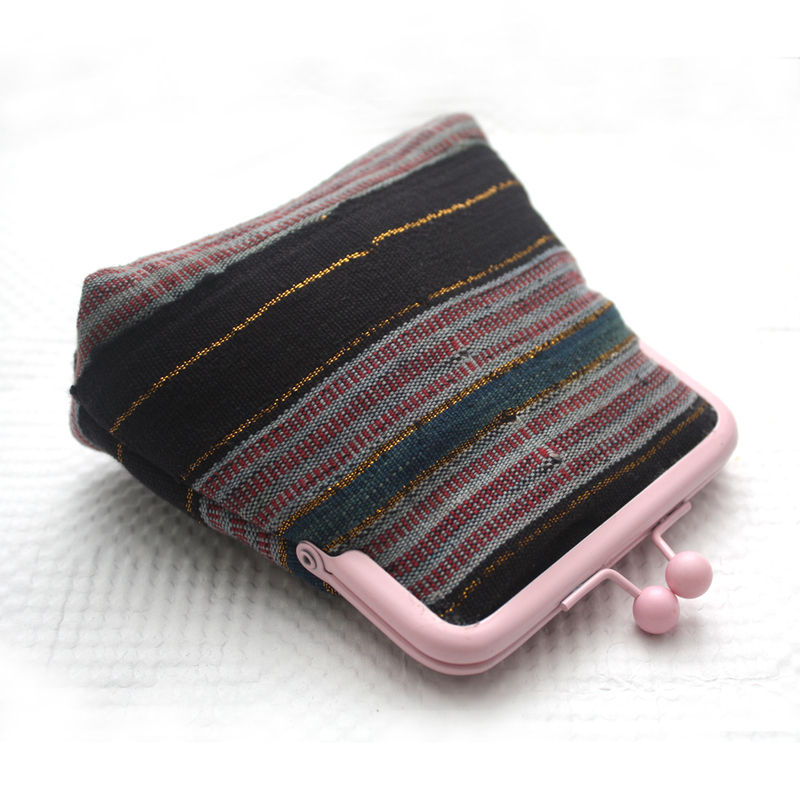 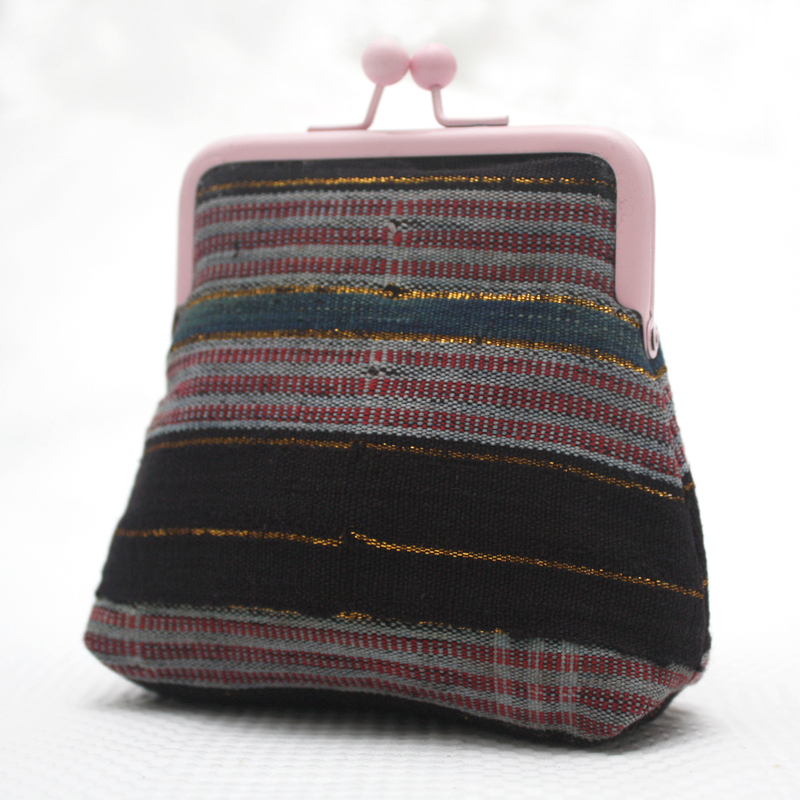 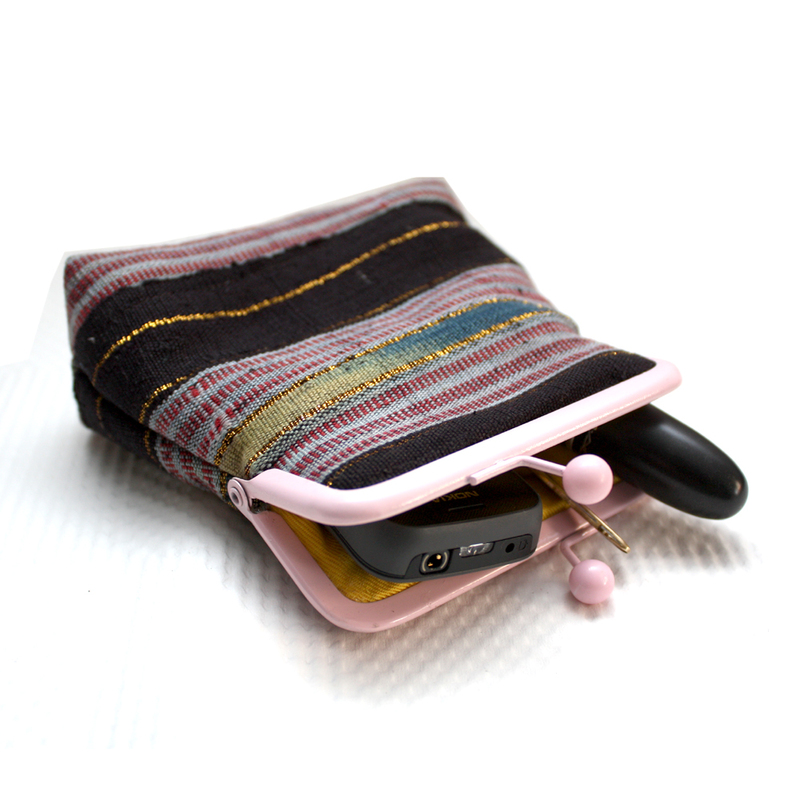 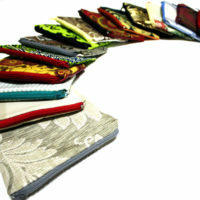 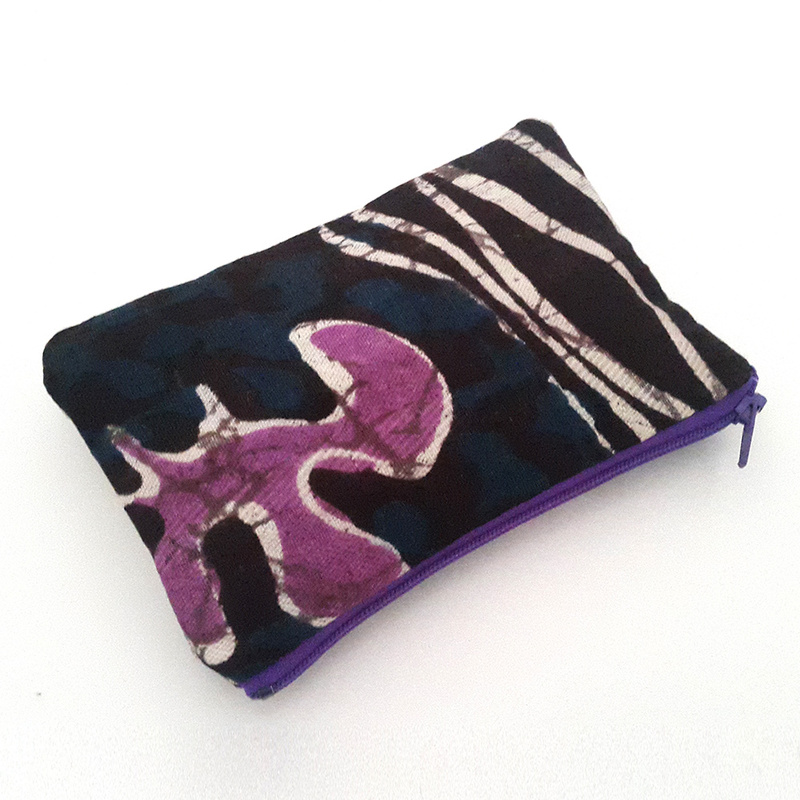 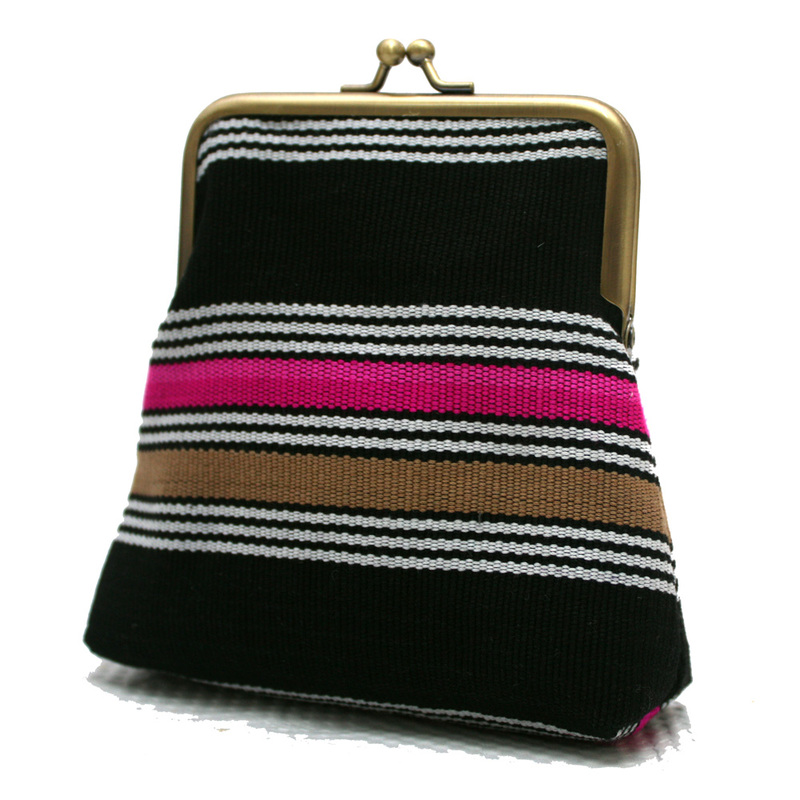 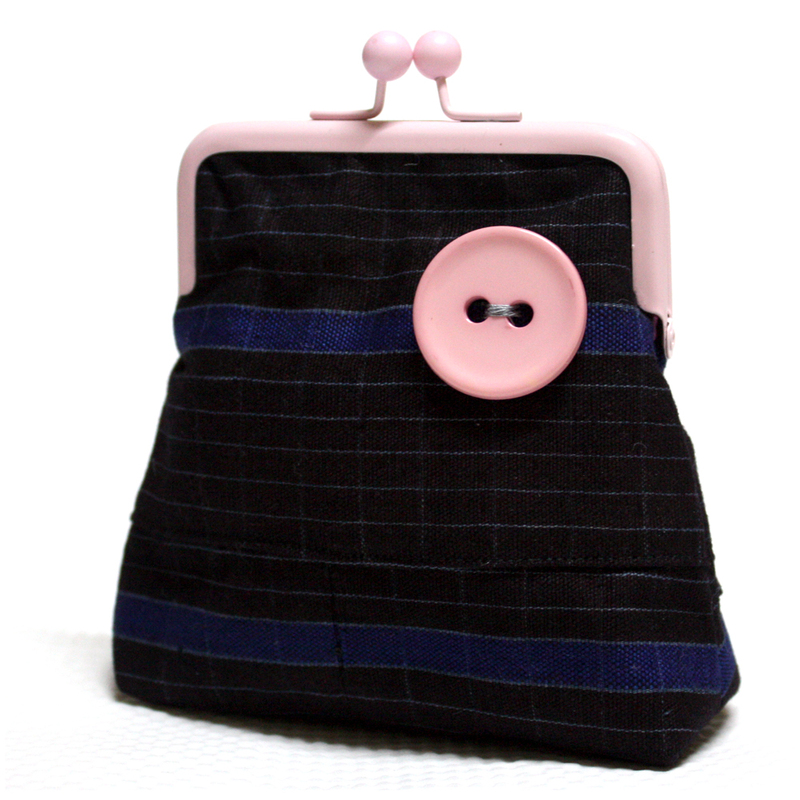 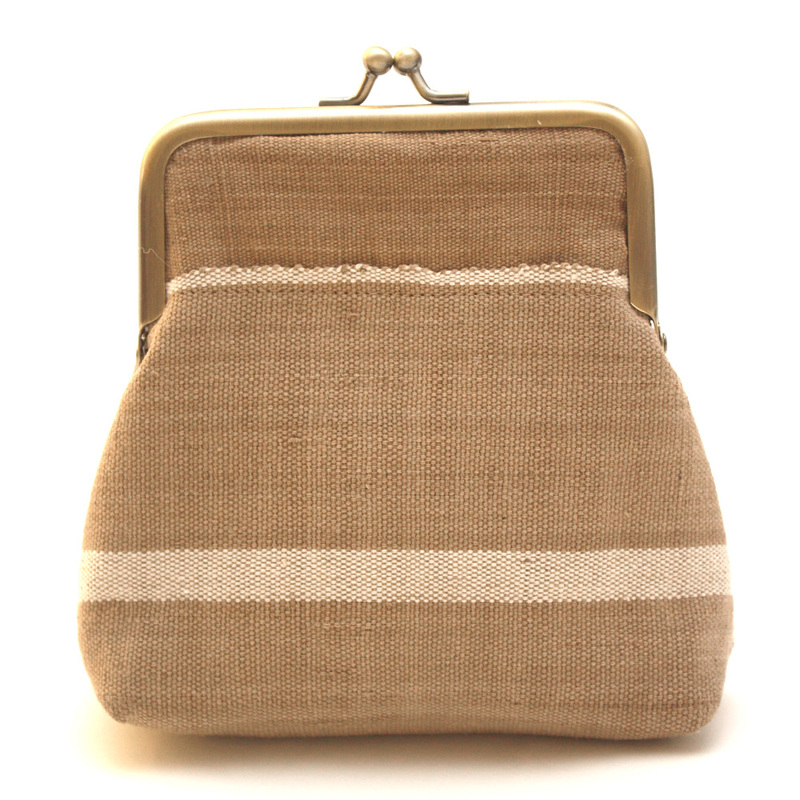 The Pico pouch makes a great coin or change purse that can be held on its own and can also fit nicely into a larger bag.